If you're a seasoned online dater you’ve probably found yourself at one point or another on a first date, sitting across the table from someone, and something just seemed...off. The profile you saw online and the person you’re meeting up with in the real world don’t seem to fully match up. 80% of online daters admit to peppering their profiles with a white lie or two. Which means that many of you have gone on dates with people you’ve met on dating sites and left the date feeling duped. 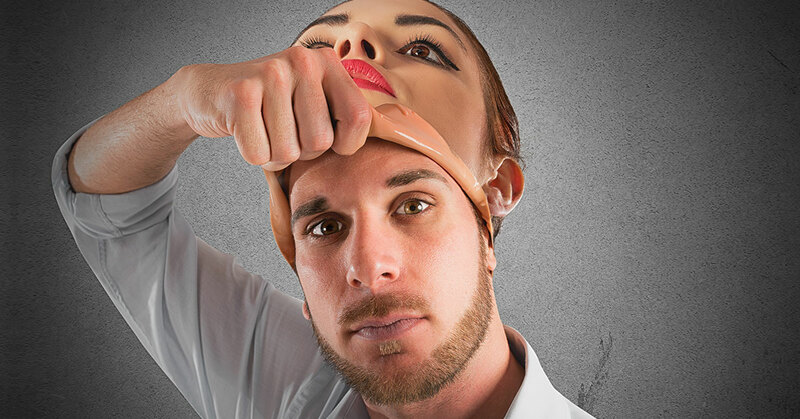 Exaggerating on dating profiles seems to be a common trend in the world of online dating, but don’t worry - There’s a way to spot the scammers! 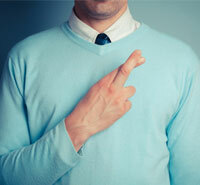 Here’s our list of the most common lies people tell, and how you can avoid falling for them. Lying about height is mostly a male thing. Since many women prefer taller men, some shorter men are sensitive about their height and elevate their physical status on their profiles. A study of online dating profiles found that more than 50% of users (mostly men) added an inch or so to their height on their online dating profile. So ladies, you might want to take that into consideration if height is a significant factor in choosing your match. Whereas more men lie about height, studies show that lying about weight is more of a female profile thing. The phrase “a few extra pounds” is one of the main online dating profile examples of how women describe themselves when the truth is really more than a few pounds. The study showed that women subtract an average of 8.5 pounds from their real weight while for men it’s 1.5 pounds. If you want to be sure that your potential date matches their description, you can always use the video chat option on the top dating sites, and see what they look like in live feed. It’s tough to fib about this one if there are photos on the profile unless, of course, the photos are also part of the illusion of the best online dating profile ever. But for those profiles containing a little white lie, men generally describe themselves as athletic and women opt for curvy or average. Age is something everyone tends to lie about, especially for those daters approaching 40 and 50. A lot of people ‘round’ their age down to the nearest 5 – especially women. While age is nothing to be ashamed of, it’s always a good thing to just ask through instant messaging for the exact age of your potential partner. Everyone wishes they could be in a higher income bracket, and some online daters actually give themselves significant and fictitious raises. Generally, you can subtract anywhere from 20-40% from men’s profile salaries. Along with exaggerated incomes is embellishment about jobs. For men, 42% misrepresent their jobs and for women, it’s 32%. A picture’s worth a thousand words: true? True – but maybe not in the way you might think. In most cases the photos on dating profiles have some true resemblance to their owners. Many are fairly recent and free of digital tampering and what you see is then what you get. However, some are digitally enhanced. Even worse, some are phony photos. The most common ‘white lie’ with profile pictures is that they may be a tad on the old side, like the gent who had hair in his photo from 10 years ago, and was completely bald in person when he met his date in person. In most cases, the little white lies contained in a profile will not be readily apparent. However, there are some hints that the person behind the profile may not be what they seem to be. How can you spot them? A few consistent clues are first, that there’s not much first person “I” or “we,” which is a way of creating a barrier. Next, the profile has more than the usual number of negative words such as not, no or never. Third, description contains fewer words signifying negative emotions. Finally, the profile’s essay is noticeably shorter than most, illustrating that not much thought and intent were used to create it. Dating site eHarmony​ queries members on 29 compatibility dimensions, increasing the odds for more honest responses. Zoosk is able to verify profile information by pulling it from Facebook. Users have the option of adding a verification badge to their profile once their pictures pass Zoosk’s software confirms the photos.